Are you hungry for the power of the Holy Spirit? Are you fed up with tired religious traditions? 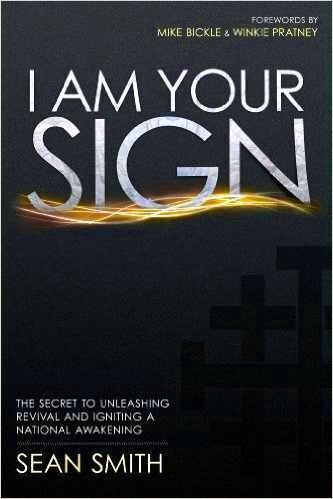 I Am Your Sign is an inspiring, invigorating look at some of history’s most powerful moves of God. If you think that faith has been drying up for two millennia, get ready to read about numerous believers who have come upon seemingly dead regions and they were ignited by the most unlikely ministers—affecting incredible changes. You will be challenged to press forward in prayer, asking God to begin a new revival, today! 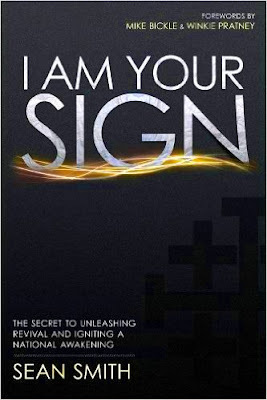 Personal, present-day testimonies as well as exciting examples from history and plenty of Scripture support makes I Am Your Sign one of the best revival books in years. It prepares a new breed of revivalist in the same way that the priest Hilkiah brought the truth to Josiah—and he became a Kingdom revolutionary. I Am Your Sign presents prophecies, history, and the Father’s intention to inspire hearts, concluding in a summons to change the course of history! Sean Smith brings a fresh perspective to the often talked about need for revival. As I consider the condition of God’s church (especially in Amercia), I see a spirit of apathy that prevails in many congregations. I believe that God has a great awakening on the horizon for His body. Sean drives home what it will take to see and experience this awakening in the life of every believer. Sean Smith is a true revivalist and this book is a must read for those that are hungry. ---Dr. Jim Willoughby, President, I.C.F.M.